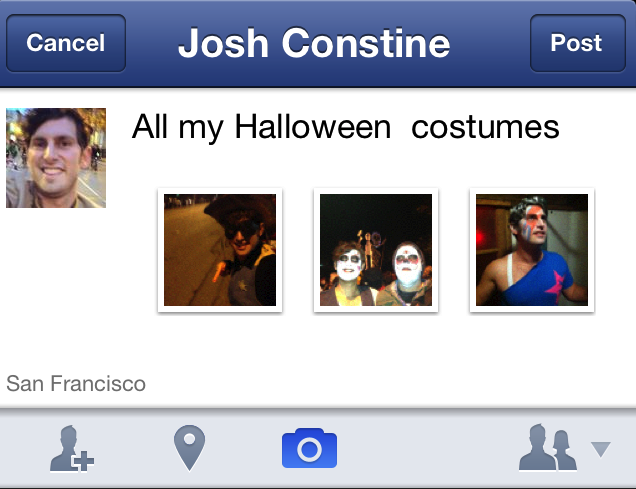 How does Facebook know what features are good enough for its main smartphone apps? It tests them on the power users of its standalone apps Camera and Messenger. If the guinea pigs dig a new gesture or option, it gets called up to the big leagues — the 100 million+ user Facebook for iOS and Android apps. The latest features to get bumped up to the main stage were photo filters and multi-shot uploads from Facebook Camera, and swipe left to the see the buddy list from Facebook Messenger. Those both got added to the main Facebook for iOS app this week and are already in the Android version. Some standalone app features would conflict with the primary app navigation schemes, though. So swipe down to reveal previously shot photos is staying in Facebook Camera, otherwise it would override the swipe down to refresh news feed gesture in the core apps. Facebook also used the “Under the Hood: Integrating standalone mobile app features into Facebook for iOS” post to try to stress how it’s becoming a mobile-focused company. Rather than having a “mobile” team port desktop features to the small screen, each product team is now responsible for writing their own mobile code. 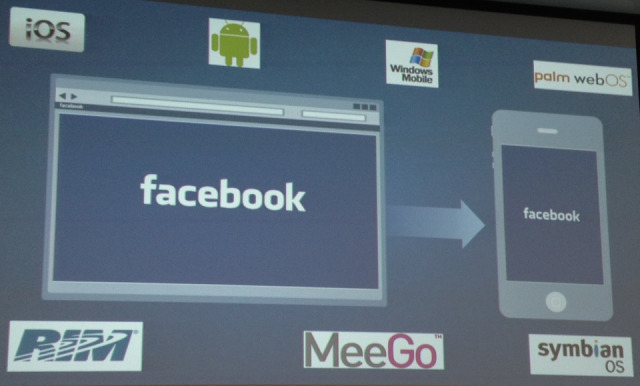 In fact, if they don’t spec out mobile first in their product review sessions, they’ll get sent back to the drawing board, as Facebook VP Vaughn Smith stressed in his talk at the Global Mobile Internet Conference. That’s going to be crucial going forward, because desktop products might be getting a lot less use in a few years. If features are designed to work on desktop and get shoehorned into mobile, they’ll need to be completely redesigned soon. And just because Facebook doesn’t have standalone desktop apps where it can experiment with new features, it has something better. At any time, Facebook is using a system called Gatekeeper to serve dozens or hundreds of different versions of the site to different users at the same time. That means it could “battle-test” a new design to people spending over an hour a day, roll it out to everyone if the testers love it, or banish it to Facebook’s massive graveyard of failed features. On that note, if you ever see some strange new Facebook feature or design, take a screenshot and send it to tips@beta.techcrunch.com. We’ll add a link to a website of your choice if we use your tip. You are my eyes and ears, people.